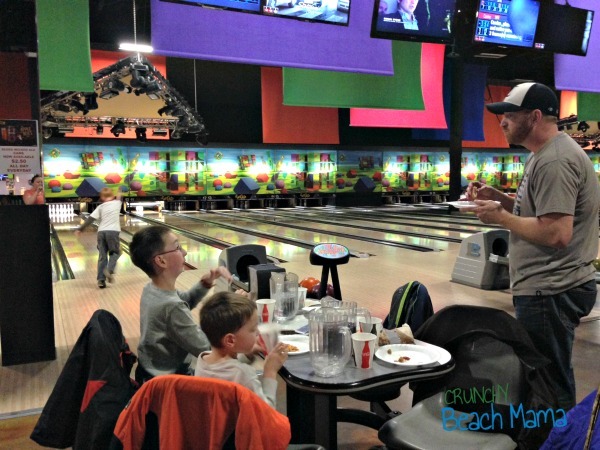 Fun at Fat Cats Bowling Centers | More Crunchy Beach Mama! My kids love to bowl. Actually, so do I. My grandma took us as kids and I have been a fan ever since. It is one of the only activities where I can beat my husband sometimes. ha! In our new town we have a Fat Cats Bowling Center. We headed there on a Friday Night and it was so much fun! Not only can you bowl, but EAT at the same time. Yes! They also had a cute 9-hole glow in the dark mini golf and a large arcade with lots of games and prizes! Such a great family place! 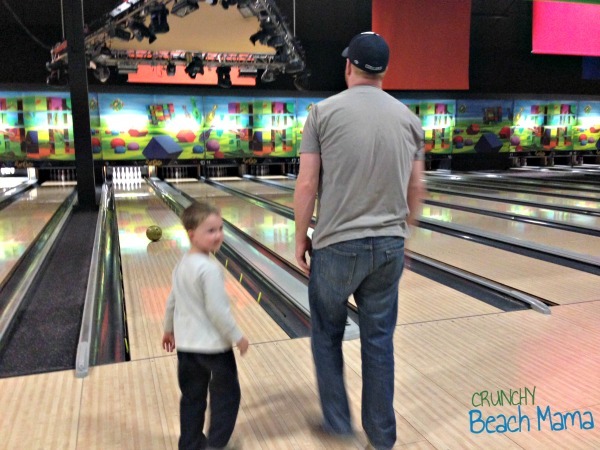 Does your family like to bowl? See if there is a Fat Cats in your area!